Dash mountable Auxiliary input jack adapter provides factory finish look. 3.5mm to RCA adapter included. 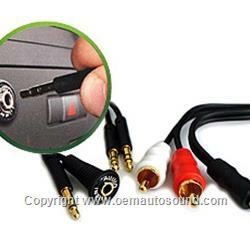 Connect to an existing AUX input in the vehicle. Move the jack if its in an undesirable place like the back seat, center console, glove box etc. Connect to any audio Adapter that also has an AUX input. 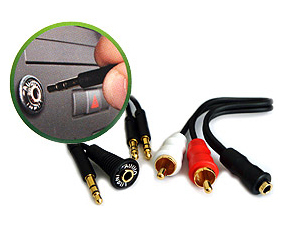 Move the aux input from the module of the adapter, to a convenient connection point. If you are going to mount this into the dash or console, you will need to drill a 3/8" hole to insert it into.